"We have been unable to get them to support us on new design wins past that time [that Apple filed suit]," Williams testified on Monday, in the US Federal Trade Commission versus Qualcomm trial. "This has been a challenge." Williams reportedly contacted Qualcomm CEO Steve Mollenkopf directly to strike a deal. When Mollenkopf refused outright, Apple had to turn to Intel to supply the entire 2018 iPhone lineup, instead of around half like it did for the iPhone 8 and iPhone X releases. "The strategy was to dual source in 2018 as well," Williams said Monday. "We were working toward doing that with Qualcomm, but in the end they would not support us or sell us chips." 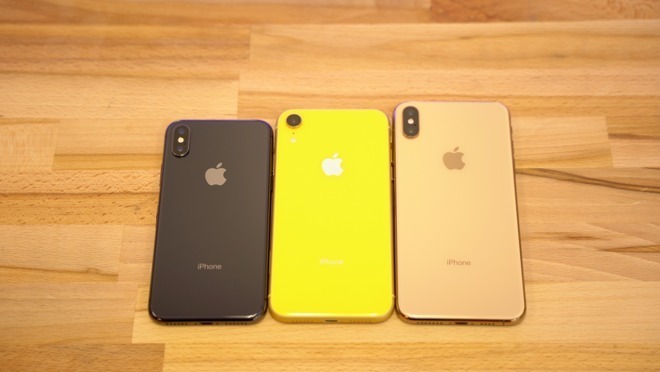 Despite the refusal to supply chips and license the technology for the iPhone XS and iPhone XR, Williams testified that it still supplies chips for older devices. Williams was asked if Qualcomm is so abusive from a business standpoint, then why did Apple continue the relationship after the licensing fees and contentious "double-dipping" started to creep up earlier. "We were staring at an increase of over $1 billion per year in licensing, so we had a gun to our head," Williams answered, according to CNet. "The alternative was if you don't accept it, it just defaults to the contract manufacturer rate of $18, $17. We needed their chip supply. If we tried to pursue them legally, we wouldn't have access to the chips. We didn't have a lot of options." The FTC suit was initiated nearly two years ago, accusing Qualcomm of forcing Apple into an exclusive modem chip deal between 2011 and 2016 in exchange for lower patent royalties. Qualcomm owns a number of key smartphone-related patents, and has often been accused of failing to follow FRAND (fair, reasonable and non-discriminatory) pricing. Prior to the FTC action Qualcomm had already been hit with a $853 million fine in South Korea for similar practices. In fact that case led directly to Apple filing a $1 billion lawsuit against Qualcomm, accusing it of withholding rebates in retaliation for cooperating with antitrust investigators. Since then governments in the U.S., China, Taiwan, and Europe have looked into Qualcomm's business deals. The company avoided most of a fine in Taiwan by agreeing to invest $700 million in the country, but has also been saddled with 997 million euros in fines by the European Union. Meanwhile the private war between Apple and Qualcomm has only escalated with suits and countersuits around the world, and Apple suppliers boycotting royalty payments. Qualcomm has accused Apple of patent violations and handing trade secrets to rival chipmaker Intel, now the only provider of iPhone modems. Apple has typically had the upper hand, but that changed towards the end of 2018 when Qualcomm managed to secure limited iPhone bans first in China, then in Germany. So far these only affect older models, and Qualcomm has had no luck trying to secure a U.S. injunction. Apple has tried to detour the Chinese ban with iOS tweaks. The blowback of legal fights could eventually force the two companies to settle. Qualcomm executives have even claimed that a deal could happen within months, but as recently as late November Apple said that no talks were in progress. On Jan. 11, Qualcomm CEO Steve Mollenkopf took the stand, defending his company's pricing practices, saying the chipmaker pushed for exclusivity on iPhone because Apple demanded a $1 billion "incentive payment" to secure the deal. At present, it is not clear when testimony in the matter concludes.